After brainstorming your designs, being able to finally see a working end product is pretty much one of the more satisfying aspects of the software development process. On the other end of the spectrum, bridging the gap from final design to working code can be taxing, not-very-satisfying and for some, a nearly insurmountable obstacle. PSD to HTML/CSS conversion can be a time-consuming and an error-prone endeavour – unless you love writing code. There are fortunately a number of companies that will do the conversion for you. All of the companies listed below offer good conversion services. A few stick mainly to PSD to HTML conversions, while others offer a wider variety of services. Prices, methods of payment, and turnaround times will naturally vary, all you need to do is approach them and ask for a quote. PSD to Manythings offers a multitude of conversion services such as converting Photoshop designs to HTML, and delivering any type of markup. They provide assistance during any phase of your design and development process including in building an e-Commerce or e-Shop app, or in PSD to Responsive HTML Conversion. With a worldwide clientelle, an excellent reputation, and recognition by WooCommerce, it is among the top 10 companies in most software developer’s lists. You can count on them to deliver squeaky clean, well-documented code or even a website upgrade if that is what your site needs. Chop-Chop.org has a sterling reputation in turning PSD to code, and their support of 30 to 90 days after you’ve placed an order with them cements that solid reputation. If your project scope is yet to be defined, you can opt for their services on an hourly basis. They accept any standard-format design file, and deliver hand-coded, SEO-compliant, HTML/CSS files to your email in basket in short order. Considered to be a premier software development and conversion startup company, Chop-Chop has clients in over 30 countries. 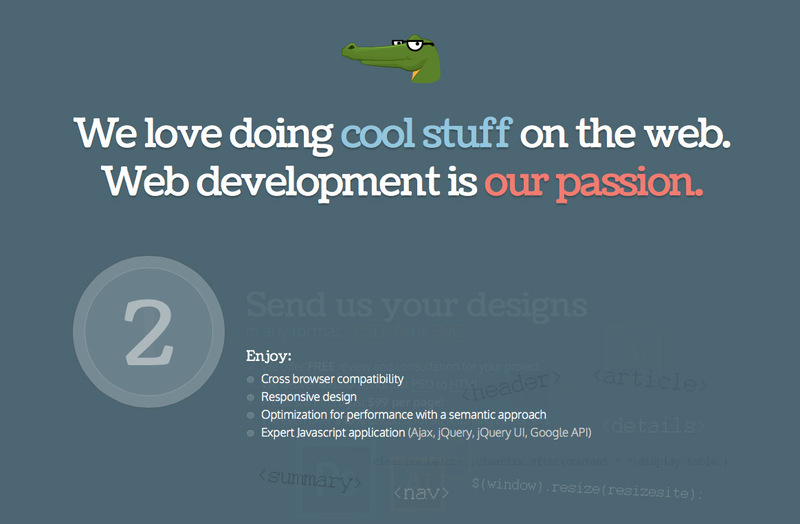 PSDgator is a team of web developers based in Greece. They offer services ranging from PSD to HTML/CSS conversions to converting WordPress themes and providing responsive designs. PSDgator offers fast delivery, and free reviews and consultations for your project before you send them payment. A free, upfront review can save everyone’s time — and trouble, if there is any feature of your design that does not lend itself to the conversion process. If you need to have your current website re-sliced and re-coded, they can do that as well. Direct Basing offers discrete slicing and a fast turnaround. They can convert your Photoshop design to WordPress, Magento, or Joomla. More than 2700 clients have taken their designs to Direct Basing, an dthey have over 10,000 projects completed for their international clientele up on display on their website’s portfolio section. You will be duly impressed. Upload your design file, get a quote and try their high quality and affordable slicing service. 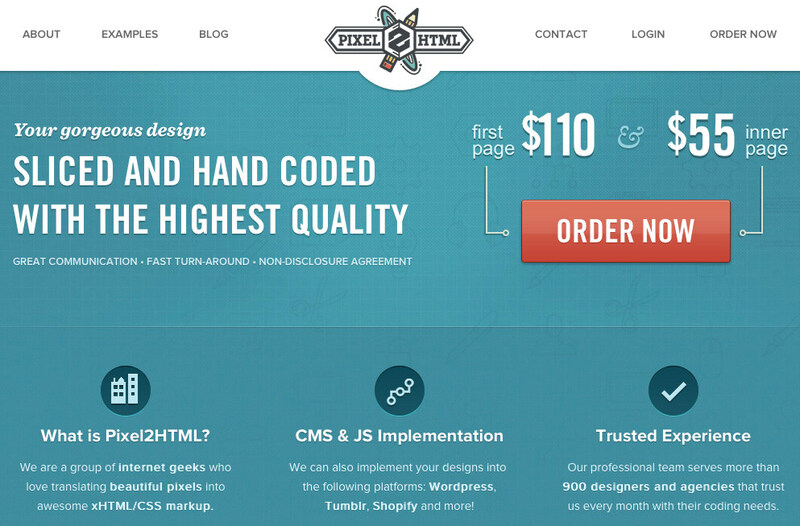 Pixel2HTML is a frontend development company that can transform your design into great HTML/CSS code. They can also implement it on WordPress, Tumblr, Shopify and other platforms as well. It you are looking for a responsive website, retina support and animations for your site, it’s in their job scope. Their team is super-friendly and willing to help at any time. 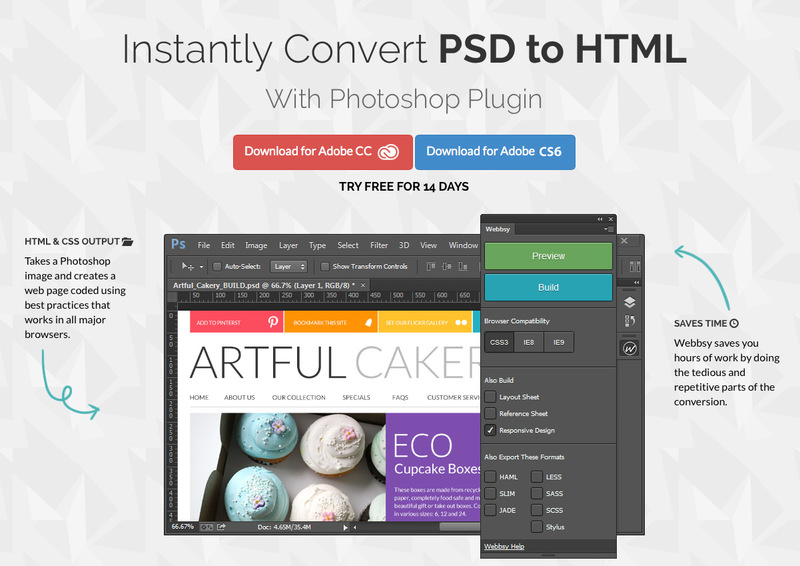 Send them PSD / Illustrator / Sketch files and they will convert them to great-looking websites. It’s always helpful to be able to see a few examples of a design- to-code conversion, and PSDHTML.PRO’s output portfolio is really quite impressive. You can either submit your order and pay upfront for one of their standard packages, or wait for a specific quote. A wide range of options is available, and most orders will be processed and the code returned to you via email within 24 hours. 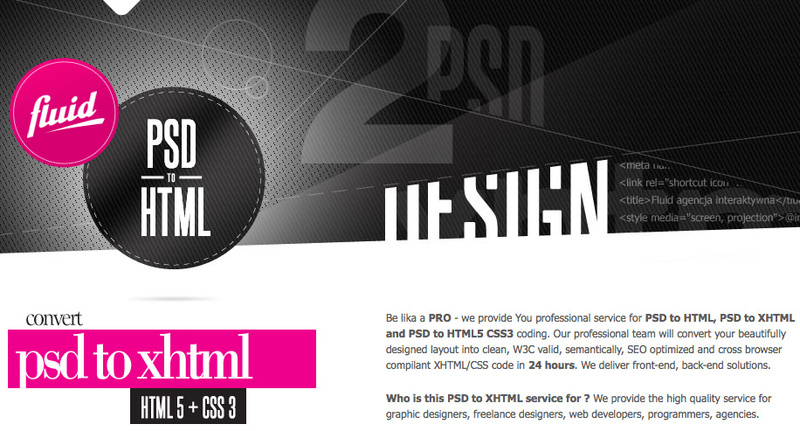 Services include PSD to HTML, PSD to XHTML, and PSD to HMTL5/CSS3. Retina-ready support is also available on request, and their development team members are absolute masters when it comes to providing animation support. .Their service features beautiful code written by a carefully curated team, and super-friendly service from people who truly understand the needs of freelancers and agencies. CSSChopper has accomplished a great deal in a little over 5 years in the business. They have completed nearly 13,000 projects for over 9,000 clients, so they must be doing something right. They can of course do the best PSD to HTML conversions for you, but if you have a website, they can take it, re-engineer it, and convert it to a fully responsive one. You won’t have to start from scratch to reach the mobile crowd. They offer CMS implementation and E-commerce integration services as well. As where responsiveness is concerned, they make sure your code functions and displays correctly across all major browsers and platforms. 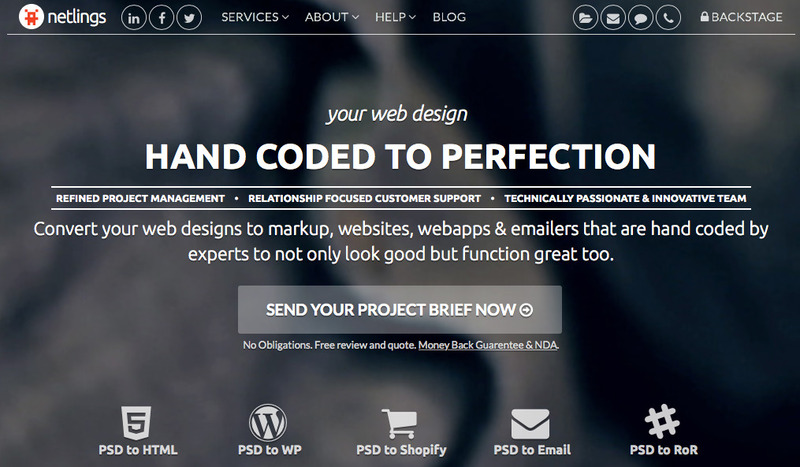 Netlings’ services include PSD to HTML, PSD to Email, PSD to Shopfly, and PSD to WordPress. They are a small company, which has nevertheless amassed a global clientele. 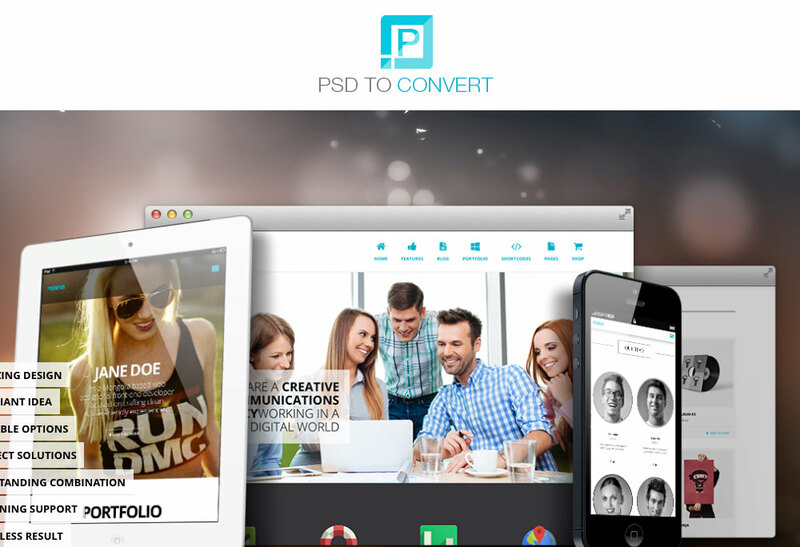 Their PSD to HTML conversion services include Responsive, Desktop, and Mobile. Turnaround is generally 1 to 2 business days and your projects’ markup and CSS will always adhere to W3C standards with fast-loading functionality always a priority. 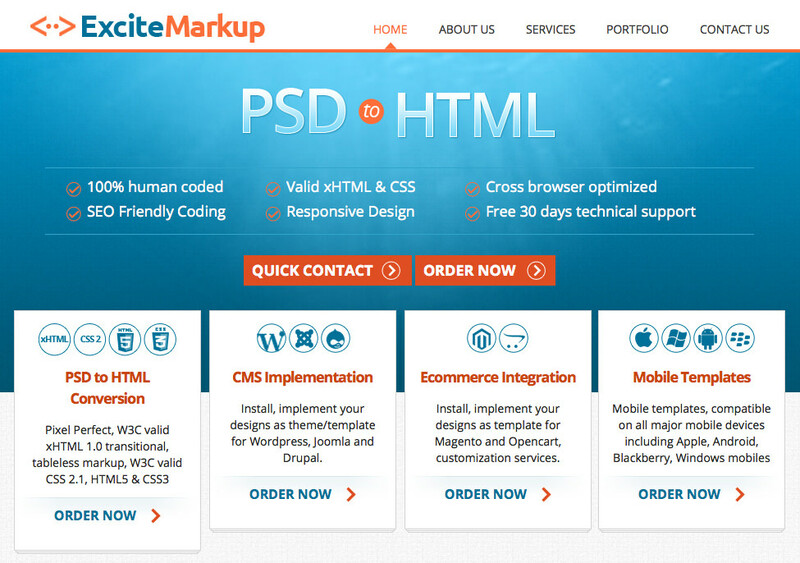 All of ExciteMarkup’s PSD to HTML code conversion is done manually. The results are 100% W3C compliant and cross-browser compatible. Your design will be in safe hands, as the company will always work with you under strict NDA rules. Additional services include CMS implementation, Ecommerce integration, Responsive design, and mobile templates. ExciteMarkup claims not to compete with others but only with themselves, to give you awesome service. 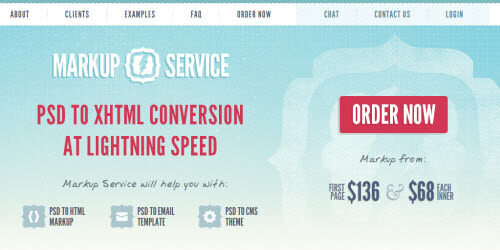 htmlMafia provides a basic PSD to HTML conversion service. You pay half upfront, and the balance after you have had a chance to preview their pixel perfect, standards-compliant markup via a demo link. There is however a money-back guarantee if you are not satisfied with what you receive from them. They work with you under a strict NDA, so your design is always perfectly safe. HTMLPanda will take your design idea, slice it, code it, and produce an excellent digital outcome. They offer services, including web development, mobile apps (including hybrid mobile apps), and e-mail marketing templates. Mobile app platforms they consider include Android, iOS, Blackberry, and Windows Phone. HTMLPanda is a full-service web development company with an international clientele, and they are at your service 24/7. Webbsy is not your typical Photoshop design to coded webpage service – in fact, it is not a service at all. Webbsy is a plugin that instantly converts PSD to HTML/CSS. It can be a real time saver, and you will be guided through its straightforward, step-by-step process. You can download it for either Adobe CC or Adobe CS6. Best of all, you can try it free for 14 days! It could be difficult to make a wrong choice among the companies listed here if you’re looking for fairly straightforward PSD to HTML/CSS conversion services. If you are in need of other services, you will still have a number of options to choose from. If you know of a company that you believe should have made the list but didn’t, please leave a comment below.